It has recently been reported that there is a huge possibility of S&P 500 reaching 2500 in the coming 2 years. This speculation has been put forward by the Federated Investors Inc (NYSE:FII) based on assessment of several market factors and conditions. A number of reasons can be attributed to this speculated increase in S&P 500 over the coming 2 years. One of the major reasons is the strength of the US economy at present. According to recent statistics, the economy is growing at a rate of approximately 4 percent per annum. If this rate of growth continues, then the S&P 500 will easily be able to achieve the target of 2500, which will be nearly 30 percent higher than its present value of 1955 points. According to experts, growth rates, bond rates and speculations about risk levels are three essential factors that determine market valuations and since, all three of these factors are moving in a favorable condition to increase the price/earnings multiple, we can be hopeful to reach the target by the end of 2 years. Moreover, earnings are continuously increasing which is another major ingredient for market valuation. The US labor market along with the private sector is also witnessing improvements over the past two years and it is expected that both will maintain a growth rate of 3 percent or above over the coming two years as well. However, the energy sector needs to make a comeback by taking advantage of the lower costs. 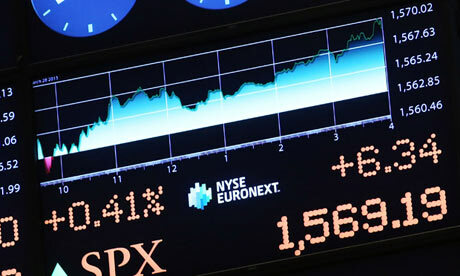 According to the speculation of the Federated Investors Inc (NYSE:FII), it is expected that the S&P 500 would reach at least 2100 points by the end of this year, showing an increase of 7.4 percent from its benchmark value on Friday. Considering the favorable market conditions, $120 in earnings can easily be achieved. Moreover, the market multiple is expected to increase 17.5 times primarily because of the stable level of inflation as well as long term bond yields. In case of bond yields, Federated Investors Inc (NYSE:FII) anticipates that the benchmark U.S. 10-year Treasury note yield will reach 4.5 percent in the coming 5 years. Currently, it stands at 2.3 percent. However, a drop is also expected in 10 year yields to 2.2 percent in the near term. According to an estimate, equities are being traded at 50 percent discount to bonds. There are a number of factors which are causing the bong yields to remain low. One of them is the mistake behind the second Great Depression in 1937- the sudden tightening of the rates. Thus, the Fed is being extremely cautious this time to prevent another such instance. Moreover, the limited labor force and the lack of energy in those who are working are causing hindrances in the recovery process. Thus, even though almost all market conditions are in favor of helping S&P 500 reach its target of 500 in 2 years, these few problems need to be taken care of.